Here is my review of the MEVO flightscope. I wish the weather would have cooperated and I would’ve been able to take it on the course and do a little more testing with it. But once we start playing again this year, I’ll post a second review as the golf season goes along. As the East Team MVP—and the real winners of the NC, the Mevo was an awesome item to receive. I had never been much into a launch monitor as I had only ever done a couple sessions with our pro on his trackman, which can be costly. So what do you get for $499? A lot actually. This little gem packs a lot of information in such a small package. 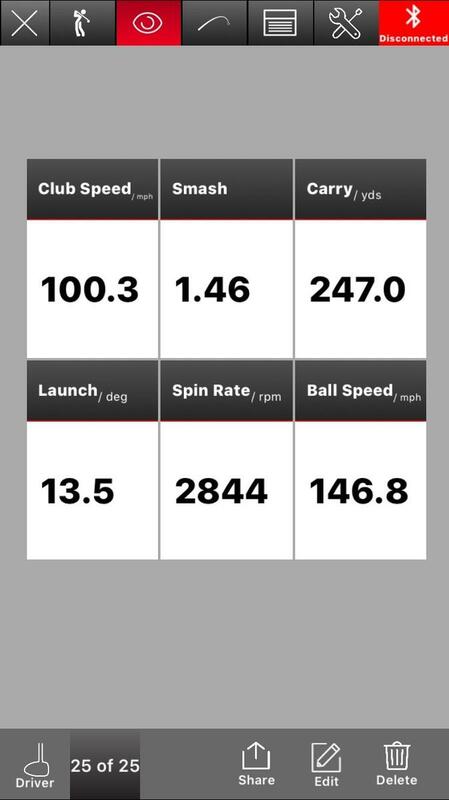 You get club speed, ball speed, smash factor, launch angle, spin, carry yards, peak height, and flight time. You get way more data from the trackman and other higher cost units, but for under $500, that’s a lot of data to play with. Here is what you get. Everything but the file folder. I can’t say enough how easy it was to set up and use right away. Even for an older computer challenged person like me. Once I downloaded the app to my IPhone, set up an account with Mevo, positioned the unit and away I went. Now when I used this I was outside, I did not affix the metallic dots to the balls and it didn’t seem to miss a beat. I had a couple of shots that I hit terrible, that it didn’t pick up, but they were low burners or badly pulled and I wouldn’t expect much from that anyways nor do I want that data. On my first use with the MEVO, I set it to 4’ and hit some 7 irons and Drivers. And I didn’t do anything with the Altitude either. The 7-iron seemed to be close to my normal distance when I hit it well (maybe shows it going a little further). The Driver, as Erik noted in the thread below, was higher than what my swing speed really is with my Driver. So finally, the weather cooperated and I finally got a chance to go out to the range and hit a few balls. So based on Erik’s recommendation I set the MEVO approximately 7’ from where I was teeing it up. And with it set at this distance, I seemed to get a swing speed and smash numbers closer to my actual swing (below). I know it’s not 100% accurate, but close enough for a hack like me. 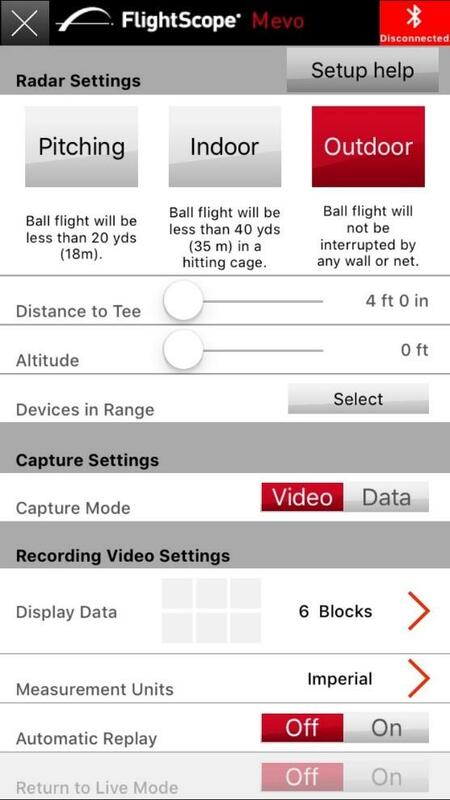 I’m really interested in seeing if I can use the MEVO to find the best combination of launch angle and spin rate to maximize my carry distance. 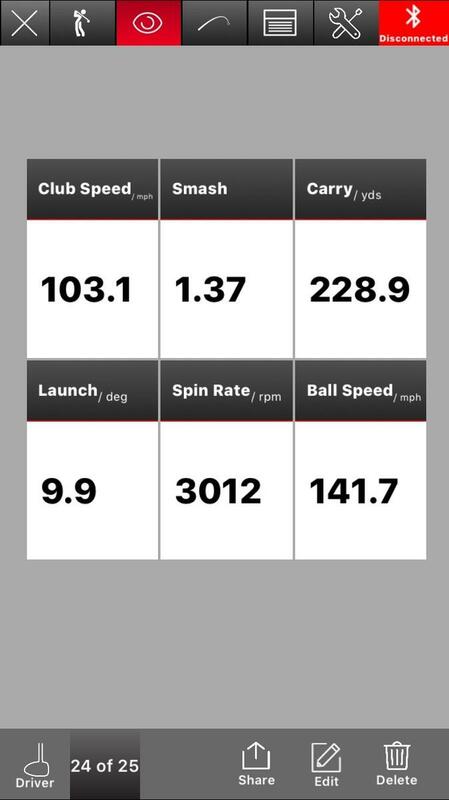 I used to hit low launched drives and I thought they were great, but after hitting a few of those yesterday and seeing the numbers from the MEVO (as well as where you could see then land), I’m really losing a lot of distance. It is really remarkable. Plus I’d really like to play around with hitting half wedge shots on the course to try and dial in my approach shots. I play so much, I pretty much know my swing, but I still guess at times. And the lower launch profile. Now I wish I was able to test this versus a Trackman and I've talked to our pro about doing a test, but he's been in Florida so it hasn't worked out. But luckily one of my good friends was on the range and he practices with our pro using his Trackman at least once per week when the pro is in town. So he pretty much knows his numbers and he was really impressed with the MEVO. His swing speed and launch numbers were right in line with his Trackman Data. Now I didn’t play around with the recording my swing option. Not really anything I was interested in at this time. Maybe later I'll give it a whirl, probably about the same time as I take the time to do a My Swing thread. There are a couple of data points that would be cool to have, side spin and AoA, but for under $500 the data you still get is really good. At the end of the day, for the price the MEVO packs a lot of great features at a price that isn’t outrageous. It's not going to be 100% accurate but pretty darn close for what I want to use it for. And I can't wait to play around with it more, especially on the course when I'm playing alone and see if I can use the data even more. Again, I can’t thank Erik and Mike enough for the opportunity to review this product and I can’t wait until the weather starts to get better so that I can use this a lot more.